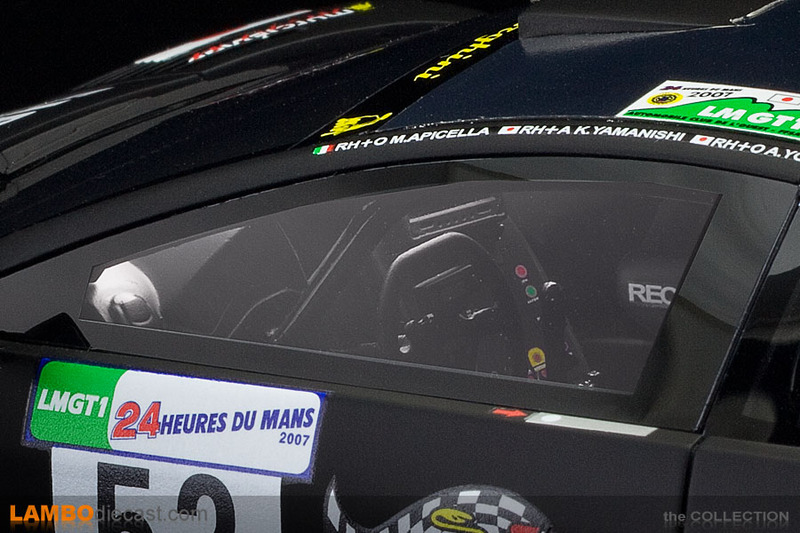 The first ever Lamborghini to be entered into the famous 24 hours of Le Mans was back in 1975 when Paul Rilly came to the La Sarthe circuit with a 400 GT Islero, but that car didn't qualify, so it never raced the actual 24 hours ... after that it would take over 30 years for another Lamborghini to appear ... for the 2006 edition the JLOC, the Japanese Lamborghini Owners Club entered a Murciélago R-GT into the LM GT1 series. 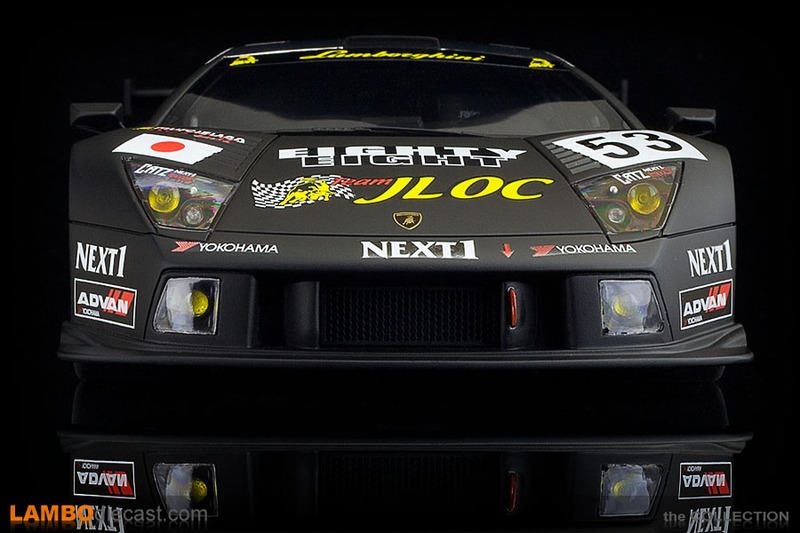 The JLOC had been racing Lamborghinis in the JTCC (Japan GT Championship) for several years since 'Team JLOC' was founded in 1993, first with a Lamborghini Countach, later with the Diablo, the Murciélago and the Gallardo. 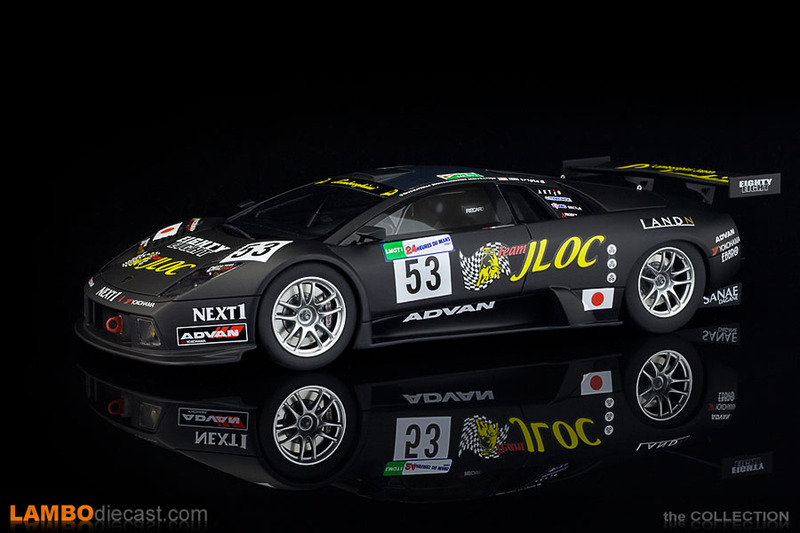 The JLOC Murciélago R-GT took 3rd place in the 1000km of Suzuka in 2005 and won the 1000km of Suzuka in 2006 ... with the support of Reiter Engineering GmbH, they now entered their R-GT in the 2006 edition of the 24 hours of Le Mans. 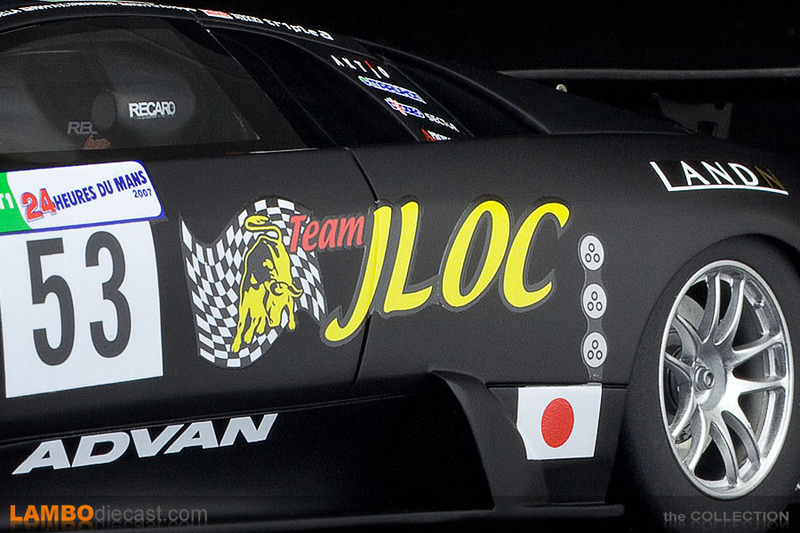 In the end, the JLOC Murciélago R-GT had to forfeit after 14h40 into the 24 hours due to a transmission problem. 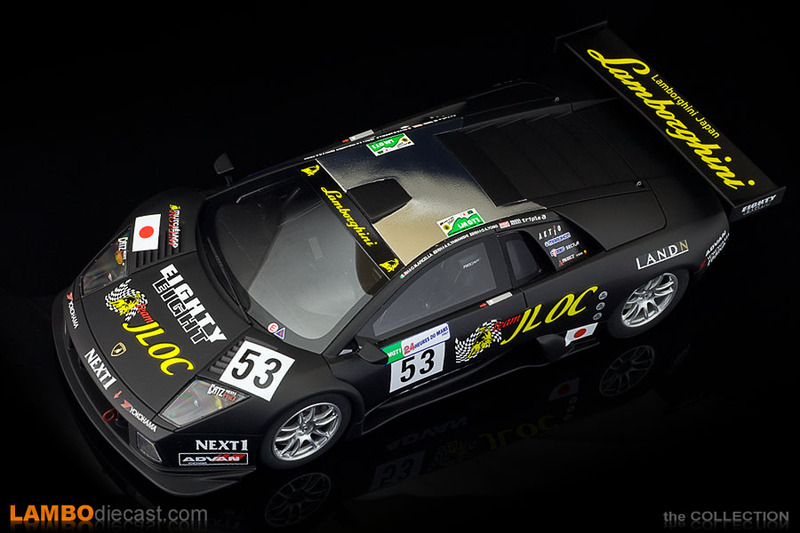 Team JLOC returned to Le Mans for the 75th edition in 2007, again with a Lamborghini Murciélago R-GT, but compared to the 2006 car, the new 2007 model came with a different rear wing that allowed a higher top speed, and they changed from Pirelli to Yokohama. During the test runs, the car managed a time of 3:59.355, but during the test run on Wednesday, June 13 there was a serious crash near the Playstation chicane, the car first hit the barrier ahead of the chicane which causes the car to crash into the barriers behind the chicane at high speed going backward after which the car burst into flames, the driver made it out of the car, but he was seriously injured and rushed to the hospital where he was kept for observation, he recovered from internal trauma in the end. The car was a total loss, but with the help of Dams team, who has a spare Murciélago chassis, the engineers for the JLOC team, Reiter Engineer and Dams managed to put the car back together by Saturday, June 16 to have her pass the Technical Scrutiny and do a warm-up lap ... at 5:02.279, far from their initial test run times. 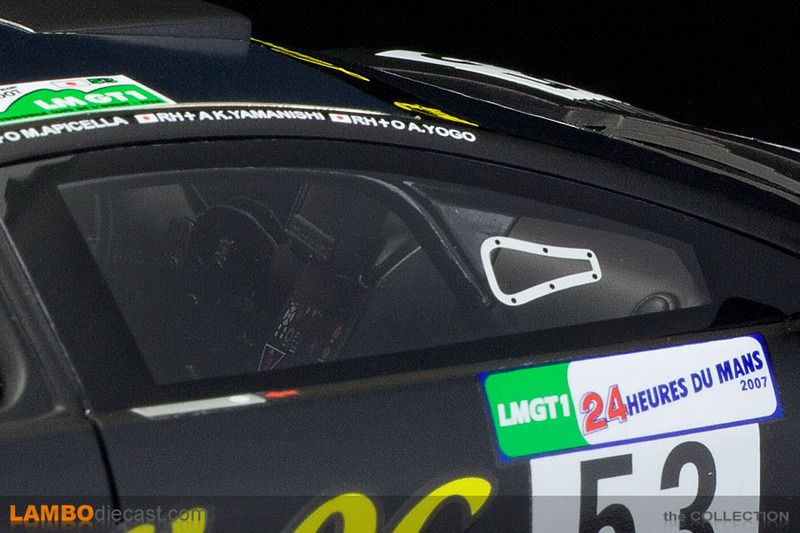 Because they changed the chassis, and only managed the 43rd time in the qualifying laps, the Team JLOC Lamborghini Murciélago R-GT was put at the end of the starting grid on the 27th row, but at least they made it into the 75th edition of the 24 hours of Le Mans ... only to fail before completing the first lap, driven by Koji Yamanishi, the 600hp Murciélago R-GT 'DNF' ... Did Not Finish, due to a drive shaft issue. 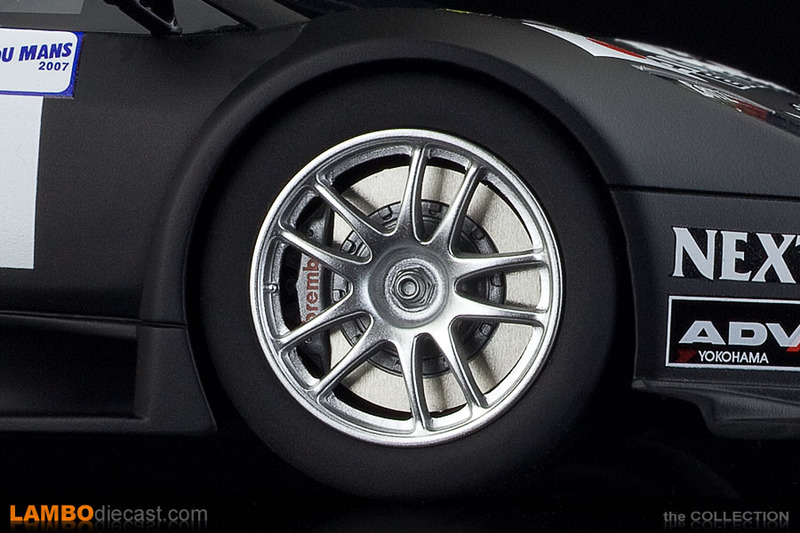 I've already mentioned in my review of the Kyosho 1/18 2005 Murciélago R-GT I had a transkit from Tremonia to convert a normal Murciélago 6.2 into an R-GT, but never used this kit, so I was delighted when I heard about GT Spirit/Kyosho releasing a 1/8 scale Lamborghini Murciélago R-GT ... and with the Kyosho being a matt black, plain livery version I opted to add that one to my collection. When it arrived I was very pleased with it (as you can also read in my review of that model), but then I noticed there were some real differences between the Kyosho version and this GT Spirit edition, not only the livery, but the bodywork and interior were actually very different ... so I decided to buy the GT Spirit version too, which is, in fact, the 2007 Murciélago R-GT edition, while the Kyosho version is the 2005 edition. 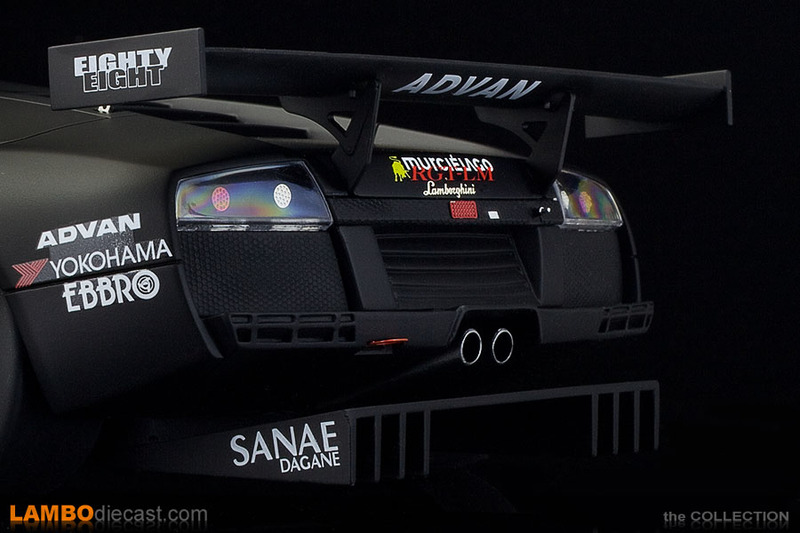 So this 2007 edition comes with different headlight covers, different taillight units, vents on the front fenders above the wheels (these are indents as they are not open vents as they were in real life), the air intake on the roof is larger, the side windows have vents and no sliding part ... and being a full-spec race car, only one seat on the interior. 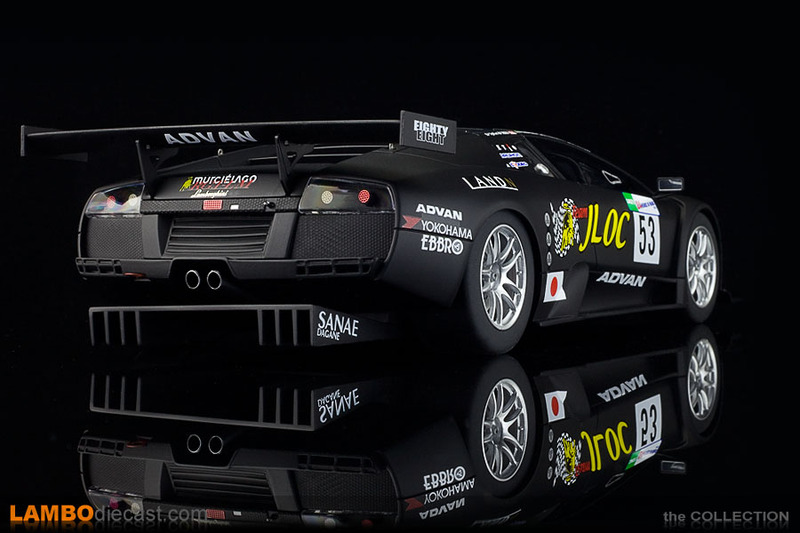 Naturally, this 2007 Le Mans edition comes with a complete set of sponsor decals and other obligatory stickers ... and it seems GT Spirit managed to put most of them on this model, there is a decal missing on the doors and on the front hood there should be another 24h du Mans 2007 sticker ... but other than those it looks like they are all there, very nicely done by GT Spirit. 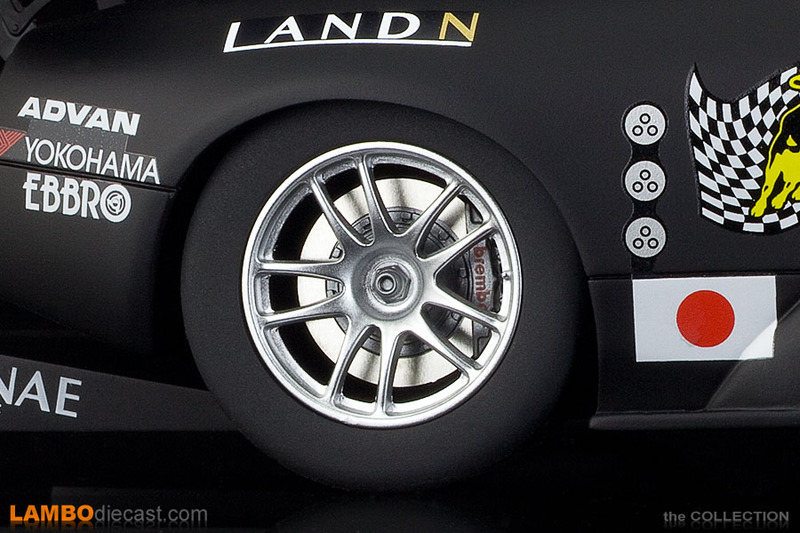 One thing I don't like about all these decals on this model is the fact they are probably water slide one, or something similar ... between the letters and between the round lights on the side you can see a transparent surround, AUTOart actually prints decals and texts like this, but GT Spirit didn't master this technique yet, and on a matt black car like this Murciélago R-GT you really notice this, and I'm not a fan. So should this model be a part of your collection ... or not? 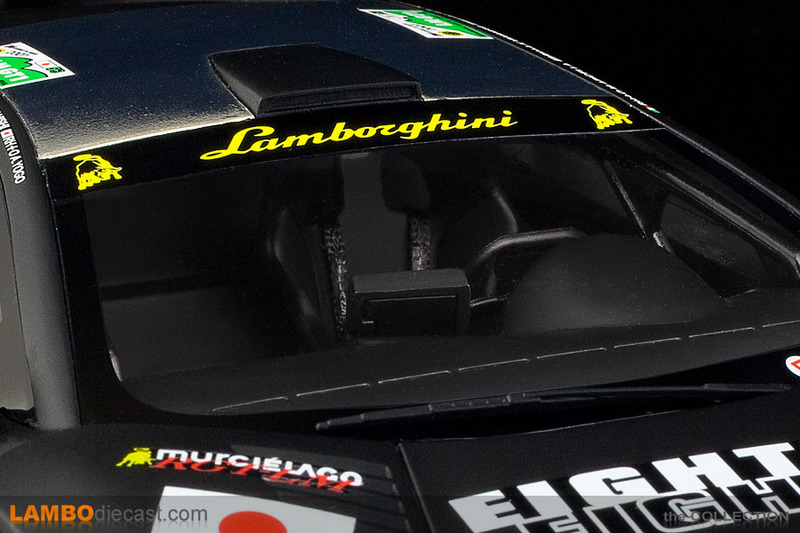 That isn't an easy question to answer, I specifically wanted to add this model because it was so different to the plain livery Kyosho edition, but I really can't say this is a milestone model in the history of Lamborghini that you must have ... 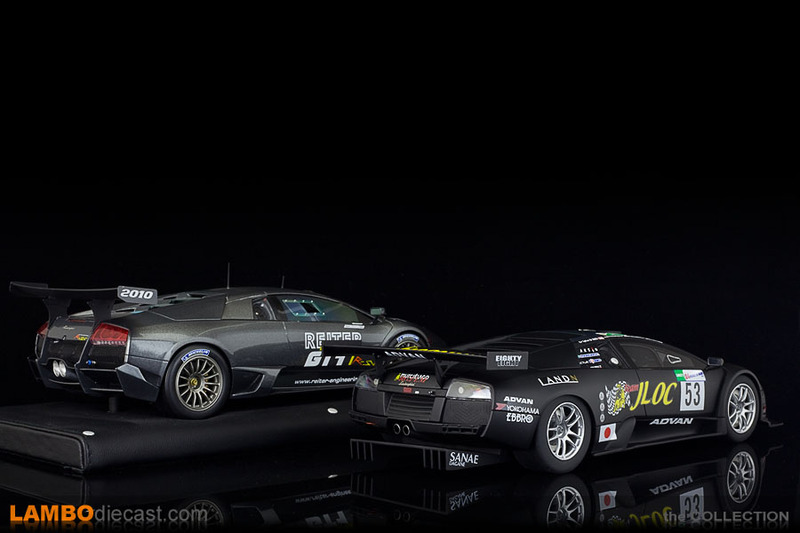 I would qualify this one as a 'nice to have', if you are into race cars I think it would be more important to you as there aren't many 1/18 scale versions of the Lamborghini V12 cars apart from the MR made Murciélago R-SV. 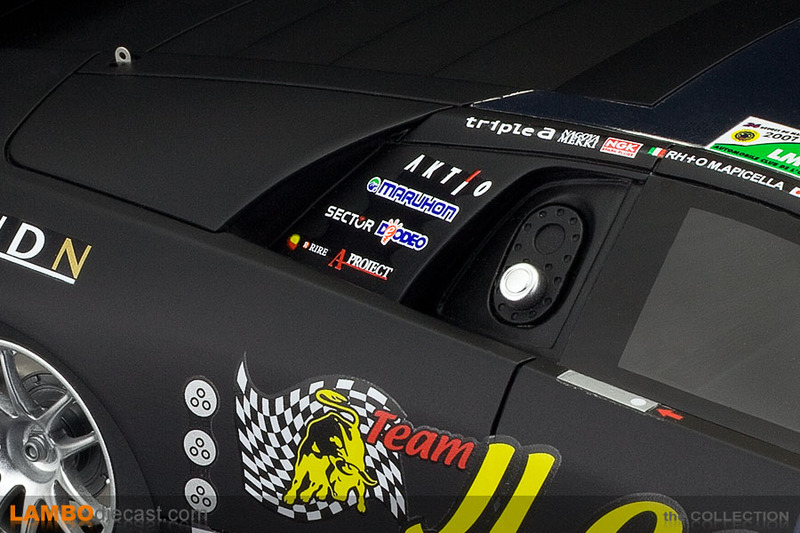 In 2007 this JLOC car didn't finish, while in 2008 Russian based Interprogress Bank entered a white Murciélago R-GT in the GT1 class of the 24 hours of Le Mans, again supported by Reiter Engineering and with Peter Kox as a driver, they managed a 'Not classified' 34th position with 266 laps. 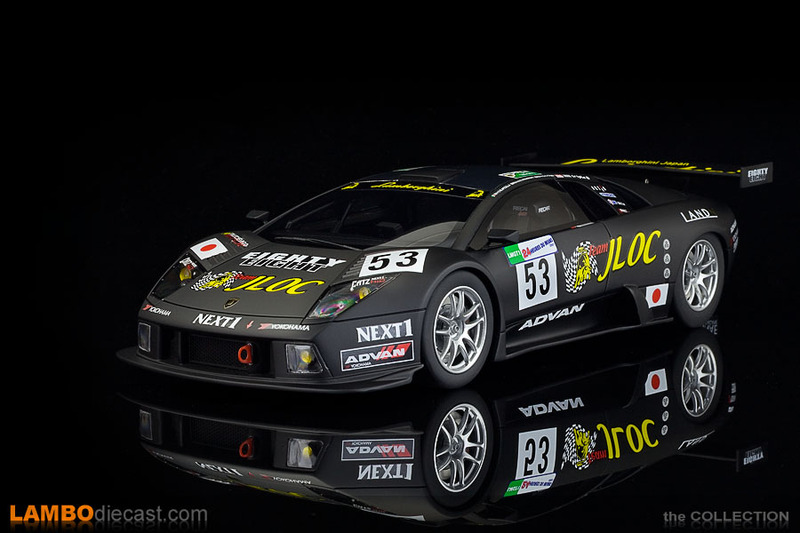 For the 2009 edition of the 24h Team JLOC returned with a Murciélago R-GT #68 ... to complete one lap during the actual race before retreating to the pit box and leaving the race once again. 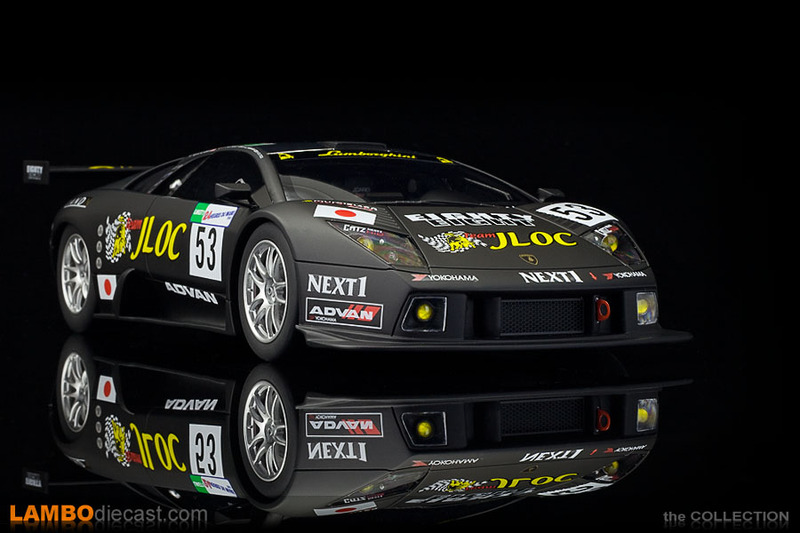 In 2010 Team JLOC comes to France with a brand new Murciélago R-SV #69, but once again they did not finish after managing to complete 138 laps.